Busta Rhymes was arrested and charged with second-degree assault for allegedly throwing a protein drink at a gym employee. The alleged incident took place at Steel Gym (good name) in Chelsea on Wednesday night. According to police reports, Rhymes (real name Trevor Smith) flung a box of Lean Body at the back of an employee’s head mid-argument. The cardboard reportedly left a cut on the man’s head but no serious injuries. Rhymes and the Steel Gym worker apparently have a sordid history. 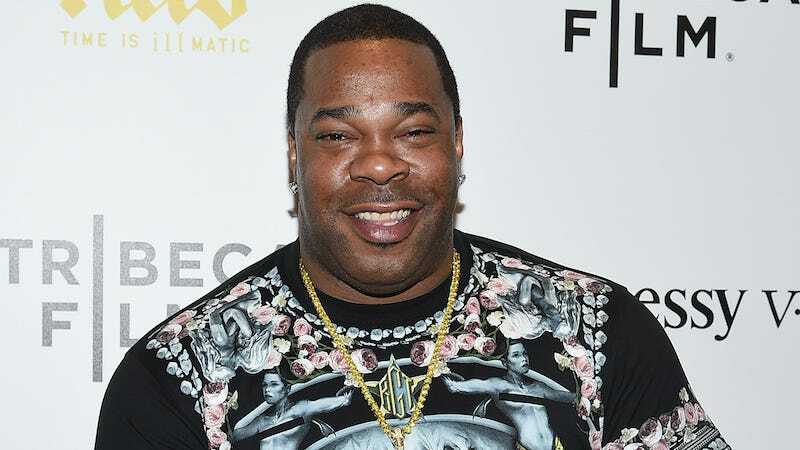 One bodybuilder said that a front desk employee got into a beef with Busta Tuesday when the rapper tried to bring a cameraman into the gym to record his workout routine. The worker refused to allow the videographer inside. When Rhymes returned to the workout facility Wednesday he approached the desk to buy a water and a chocolate-flavored Lean Body drink and the employee told him he had to leave. Rhymes has to return to court on Nov. 6.